Well another year has come and gone. It doesn't seem possible that we have lived in our new little house for over a year and a half. We have accomplished so much in the past year..... We got more chickens, and a cow. We fenced our whole property, put up a wall in the kids room ( which still needs to be completed) that's an ongoing project. We planted a yard made a spot for a pool ,planted some trees and a garden. I am sure there are more things that I am forgetting but you get the picture. We had lots of ups and downs but in the midst of it all we praise the Lord for he is good to us. 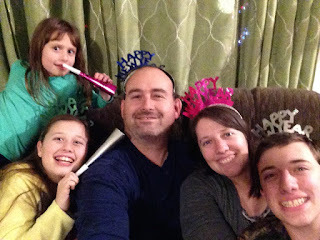 So what does the new year hold for our family. Well lets see, my son started a job at McDonalds in our small town so he is excited about that, last year he bought a truck that he is going to fix up with his dad so having a job will help finance all that. My girls are learning the ways of a homemaker and I intend to do more sewing with them. I am going to try and eat healthier lose some weight and try to organize my home more although I say that every year I'm also going to be working on a new curriculum book for k-2nd grade....... we shall see how that goes. My husband is a hard working man devoted to providing for his family and also spending as much time with us as he possibly can. We are praying for a new job in the new year one that allows him to have have a normal work day and have dinner with us each night. I am sure I am not alone in this category. My youngest daughter tells me daily that she wishes dad could stay home and harvest corn just like Pa Ingalls. It touches my heart deeply to hear her say that. 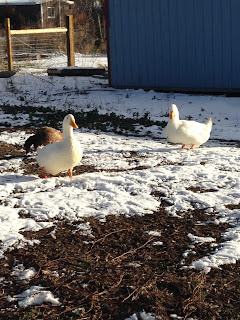 We plan on butchering our cow this year and and possibly getting some pigs to raise. Our home is always a work in progress so I am sure we will work on that also maybe finishing the small touches inside the house and if we are real ambitious maybe tackle the outside and paint the whole house. I hope everyone has a blessed New Year and finds time to step back, put God first ,family second and yourself last and enjoy the Simple Things In Life!!! 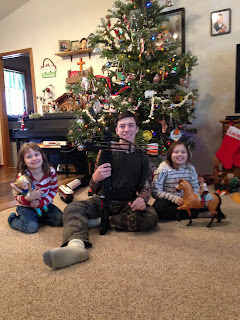 The kids with their favorite Christmas toy. The ducks enjoying the sunshine! 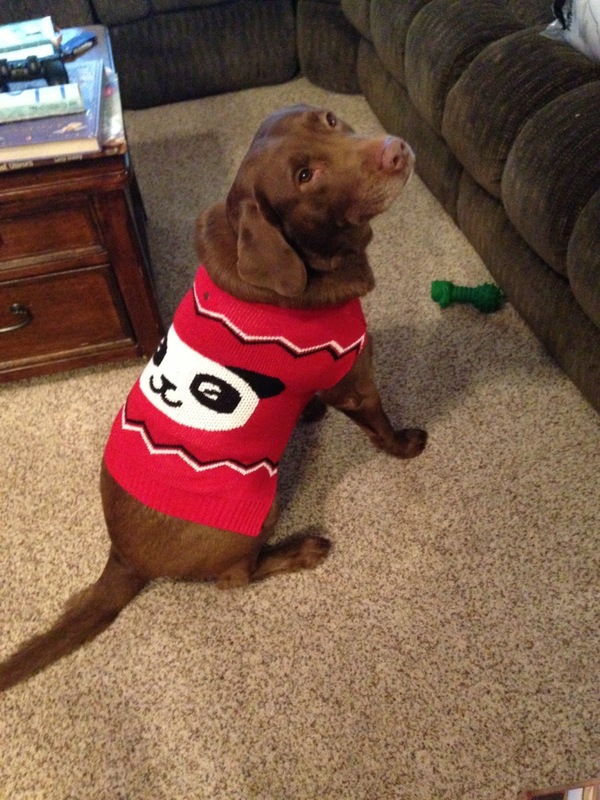 Our lab Drake sporting his new sweater although I think its a little small on him !